Clear red dessert apple. Early. White - white blossom, blushed pink. 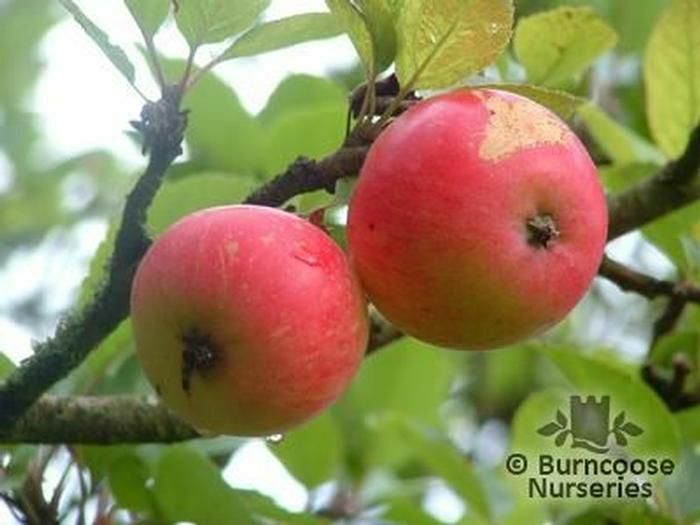 Fruit - Plants which produce an edible or ornamental fruit - dessert. Partial tip-bearer. Produces fruit on spurs along branch and at tip. Pick mid-August for use mid-August to mid-September. Additional Features	- Good to know - wildlife plant - bees and other insects.Hybrid betweenWorcester Pearmain and Beauty of Bath. A heavy, reliable cropper. Pests & Diseases - good disease resistance to mildew and scab. Place of origin - UK. 1949. Essex.